However, the TSA’s press office refused to release a list or any details of those assaults, including how many times accused assailants were arrested. The TSA also refused to answer my question: “How does TSA define an ‘assault’ on a TSA screener?” I was told I would need to file a Freedom of Information Act request for that information, but the TSA scorns federal law and often delays responses for months or years. 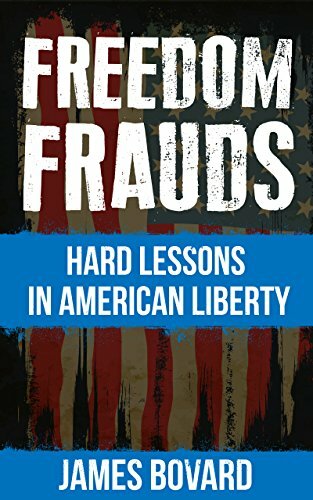 Such tactics help explain why some people believe that “TSA” stands for “tactics to suppress accountability.” Freedom Frauds: Hard L... James Bovard Check Amazon for Pricing. An ongoing federal court case is showcasing the TSA’s accosting prerogatives. Airplane captain James Linlor was traveling through Dulles Airport in 2016 when he suffered a brutal patdown that left him requiring surgery. A TSA video shows that the patdown was proceeding normally — if somewhat aggressively — until the TSA agent with no warning administered what appeared to be a karate chop to Linlor’s testicles. 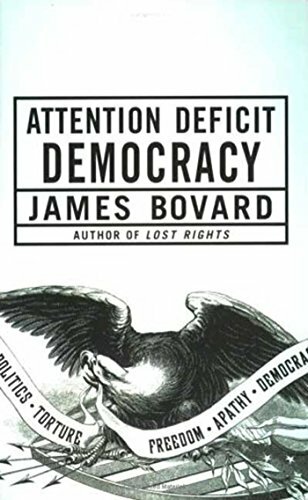 Attention Deficit Demo... James Bovard Check Amazon for Pricing.